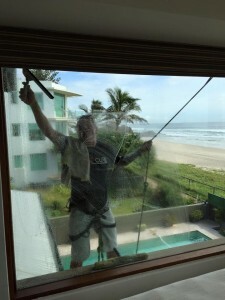 Andrew Blackmore has operated one of Queensland’s leading window cleaning services for over 26 years. Clients cover a diverse range of businesses, from small businesses right through to some of Australia’s largest corporate companies. We are fully insured including public liability and workers compensation. Doesn’t matter how big or small the job is,We are able to complete all tasks that my business is engaged to perform.